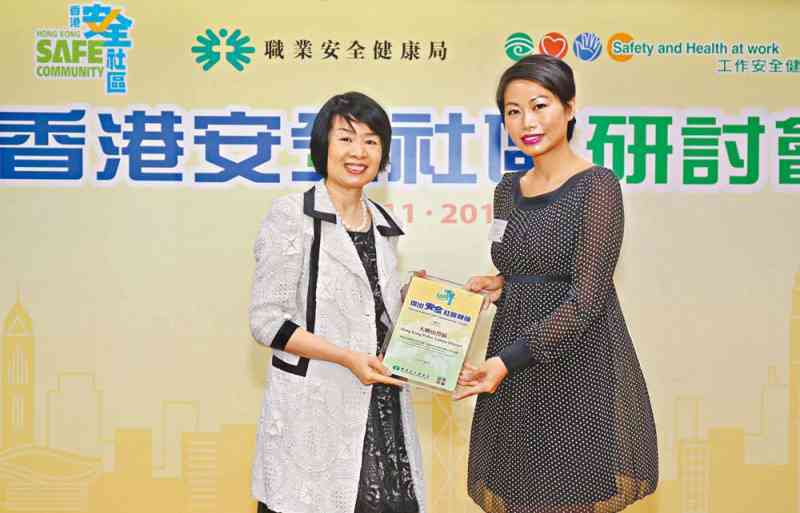 The Chairman of the Safe Community Advisory Committee of the Occupational Safety and Health Council (OSHC), Dr Nancy Tung, presented Lantau District (LTDIST) with the Outstanding Safe Community Leader Award at a ceremony on November 3. The OSHC launched the award to recognise the contributions made by safe community leaders to promotion of OSH, and draw on the experiences of the outstanding community leaders for setting a model for other stakeholders. A local Non-government Organisation, Tung Chung Safe and Health City, nominated LTDIST for the award. An adjudication panel later picked LTDIST as an award winner for supporting and promoting occupational safety and health at the work place.